Celebrities such as Big Sean and David Spade at some point in their lives had an intimate relationship with American screen diva and microphone queen, Naya Rivera. While it is true that Rivera’s relationship with Sean earned her wider media coverage and attention, her decision to, however, walk down the aisle with Ryan Dorsey after splitting from the singer got everyone talking because their friendship metamorphosed into a whirlwind romance just shortly after she ended her six-month engagement with Big Sean. As it is common with most celebrity marriages, Dorsey and Rivera’s marital relationship passed through a lot of challenges until in 2017 when things turned sour, leading Naya to file for divorce from the father of her son. Here are five interesting things you need to know about Rivera’s ex-husband. Who Exactly is Ryan Dorsey? Ryan Dorsey is known for two things – he is an actor and the ex-husband of American singer and actress, Naya Rivera. He was born on 19th July 1983, in Charleston, West Virginia, in the United States, to Arnold Dorsey. He briefly studied Theatre in Western Carolina University but later dropped out after one semester. He would move back to his hometown to make films with his friends. He enrolled at West Virginia University, from where he relocated to New York City to join The New York Conservatory for Dramatic Arts. Dorsey, who holds an American nationality, is best known for his role in the movie, Blood Father. He is worth $2 million and stands at a height of 5 feet 10 inches. Being a private individual, the actor hasn’t really disclosed much about his family background and personal life to the media but the paragraphs below contain five lesser-known facts about him. Ryan had a penchant for baseball from childhood. So, when he got to high school, he didn’t hesitate to identify himself with his school’s baseball team. However, things changed after some time and he lost his interest in the sports along the line and fell in love with acting. Ryan later moved to Los Angeles to give his acting ambition a chase after taking up lessons in film and television technique at the New York Conservatory for Dramatic Arts. Being a working actor, he starred in a slew of short films/TV shows including You’re the Worst, Parks and Recreation, Unspoken, and Southland. 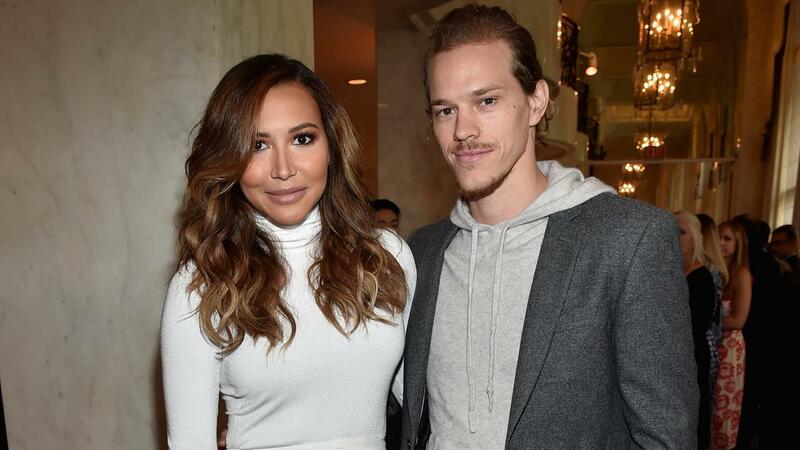 Ryan Dorsey and Naya Rivera’s relationship was made public in 2014 but only a few actually know they’ve been friends long before that year. According to sources, the exes met for the first time in 2010 in Los Angeles. After a brief fling, they separated but remained close friends even as Naya was in a romantic relationship with Big Sean. The couple became more than close pals shortly after Rivera called off her engagement with the singer. In her memoir: Sorry Not Sorry, the actress chronicled that a few weeks after she initially separated from Ryan, she found out that she was with his child and decided to abort the baby without informing him. According to reports, the actor and his ex-wife were engaged for two and a half months. The two lovebirds became close again after their initial separation after Dorsey learned that Rivera had called off her relationship with Big Sean. After reconnecting, the pair secretly got married in front of a small group of family members in Cabo San Lucas, Mexico on July 19, 2014. Naya and her husband began having serious issues after the former hit the latter while they were taking their son out on a walk in Kanawha County, West Virginia, in 2017. The actress is said to have hit her husband in the lower lip and head. She was later arrested and charged with misdemeanour domestic battery after Ryan reported her to the authorities. She was subsequently released on a $1,000 PR bond, after which she filed for divorce from Dorsey which was officially finalized in the year 2018. The actress’s domestic battery charge was also dismissed at the request of the actor who declined to pursue pressing charges. In November 2016, Naya had filed for divorce but later dismissed it in September 2017. The couple welcomed their first child, a son named Josey Hollis Dorsey in September 2015. Although Ryan’s marriage to Rivera has ended, he has temporary joint physical and legal custody of Josey with her. In addition, the screen stars waived the right to support payments to each other.